Here an interesting website for chili’s lovers. 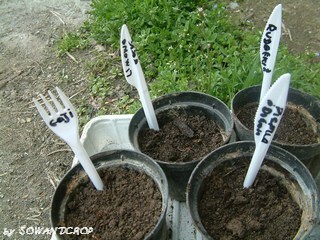 Categorie: Curiosità, Orto | Tag: chili, coltivare, grow, guida, guide, peperoncino, seeds, semi | Permalink. 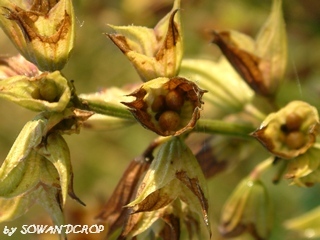 This is the period when sage has finished flowering and starts to produce seeds. 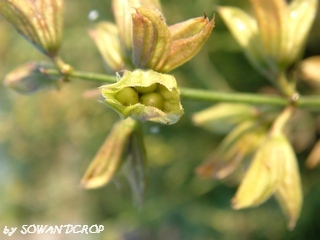 In the first photo seeds are green and then not ready because not sufficently ripe. In the second they are turning in brown-black and are ready to pick up and storage in a well dry place till next end of february for new sowing. In a few places (where winter is not very frost) it’s possible to sowing them in this period and have new plants before winter. 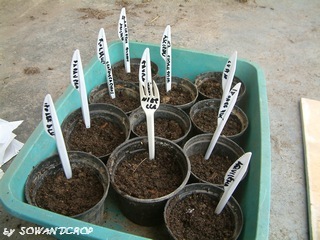 In any case it’s better keep them in pots till next spring, so to have more probabilities of success. Sage is a great spice for cooking, its flowers attract benefical bugs and butterlflies and it has balsamic, anti-inflammatory and digestive proprieties. Categorie: Alberi da frutta, Curiosità, Erbacee, Giardino per i nostri amici, Orto, Rimedi naturali | Tag: bugs, butterflies, farfalle, insetti, sage, salvia, seeds, semi, seminare, sowing, terapeutica, therapeutic | Permalink. Why not to create one of them in Italy? Categorie: Curiosità, Green news, Orto | Tag: biblioteca, collect, library, raccolta, seed, seeds, seme, semi | Permalink. Where will they arrive? How and what will we answer? Categorie: Green news | Tag: biodibersità, biodiversities, exchange, market, mercato, scambio, seeds, semi | Permalink. 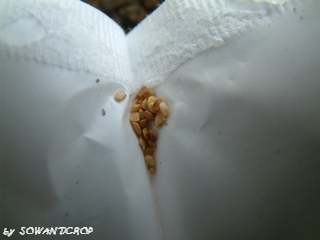 New seeds for my bugs project. 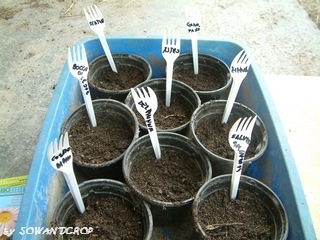 ready for seeder with controlled temperature and light. Categorie: Curiosità, Erbacee spontanee, Giardino per i nostri amici, My projects, Orto, Rimedi naturali | Tag: bakyard, bugs, erbacee, insetti, orto, seeder, seeds, semenzaio, semi | Permalink. ready for seeder at controlled temperture and light. 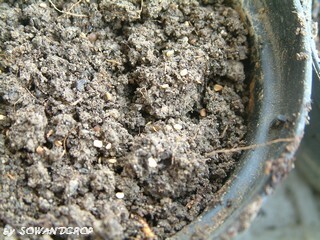 Categorie: Curiosità, My projects, Orto in cucina, Rimedi naturali | Tag: goji, seeder, seeds, semenzaio, semi | Permalink.